Chosen by CEO to oversee all aspects of entry into, and operations of, the high-profile Chicago market. 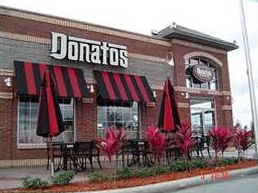 Completed Donatos operations training while maintaining full-time, senior role at Home Office. Head Store Manager at $1.3 million volume store – achieved top overall rating for operations, sales, and profitability metrics in 120 unit system.